"Very clean, competent, nice, etc. I'm so happy I have found this dentist." "I've never had such wonderful dental care in my life." "She is always reassuring even if there is some discomfort involved in your visit." 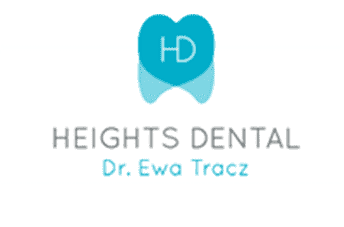 Heights Dental NY is a high-end dental practice providing quality dental care holistically, comprehensively, and wholeheartedly in the charming city of Brooklyn. Seasoned and caring dental expert, Ewa Tracz, DDS, and the proficient dental staff work diligently to render valuable services with little to no wait times and a friendly and welcoming atmosphere. Dr. Tracz specializes in reducing dental phobia by minimizing pain and anxiety for a noteworthy and positive dental experience. The dental professionals of Heights Dental NY emphasize patient education and preventive oral health care through self-care at home, optimal nutrition, and regular dental visits. A stress-free environment, timely service, and individual care are of the utmost importance. Heights Dental NY utilizes non-toxic BPA free materials, zirconia or gold crowns, ceramic composites, and special digital X-rays with 90% reduced radiation. Heights Dental NY always puts your safety and wellness first and chooses the safest and the most natural and effective materials, techniques, and tools. Heights Dental NY doesn’t offer amalgam or mercury-containing restorations. Heights Dental NY provides cosmetic and general dentistry, dental implants, Invisalign® teeth straightening, smile makeovers, teeth whitening, gum care, gum rejuvenation via the Chao Pinhole Method, and more. Heights Dental NY works with a master lab technician with over two decades of experience that can even customize restorations in the office if necessary. The Heights Dental team works tirelessly to help you achieve optimal oral health and beauty. Call or book online for a free consultation. The doors are open for new patients. "The best dentist I've ever had! Dr. Tracz and her staff bend over backwards to make you comfortable and accomadate your schedule." "I am so happy that I found her. She and her staff made my experience as pleasant as it could possibly be." "Most people have said they hate going to the dentist but I honestly don't mind because I have Dr. Tracz as my dentist."